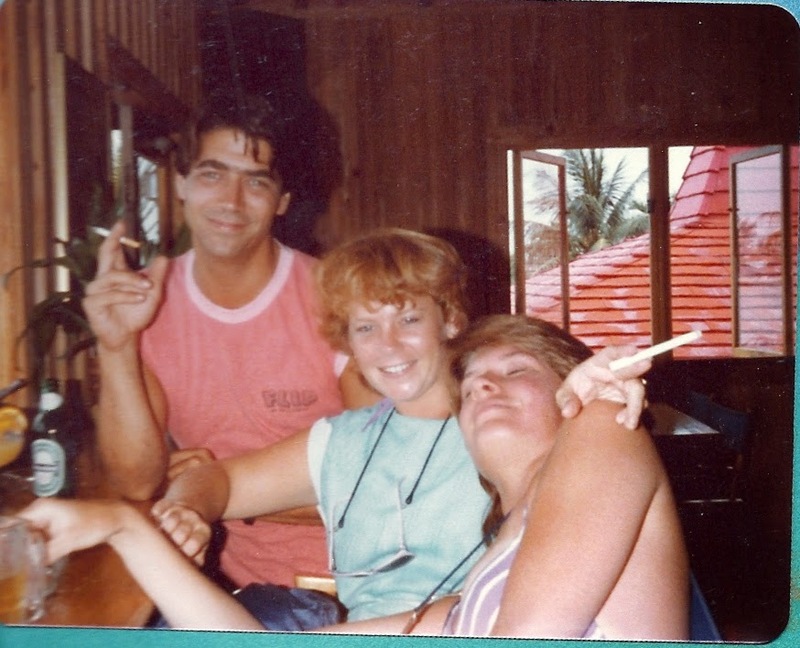 For this week's Throwback Thursday, I'm remembering wonderful friends in Key West, better known as Key Waste. This was the fateful trip where I ended up breaking my back in a wind surfing accident. It was definitely a fun & eventful trip! My life is crazy at the moment. Not a fun & exciting kind of crazy or even the horrible kind of illness-in-the-family kind of crazy. Just way too many little things going on & feeling pulled in 1,000 different directions kind of crazy. The summer job's hours are starting to get to me, but as my wonderful boss reminded me, I'll get a day off in September. (And to cover my a$$, the boss is wonderful he just has a slight sarcastic streak.) Meanwhile, the laundry pile is taller than I am, the wood floors are sporting a nice dog hair carpet, I've lost all my interchangeable needle connectors and after finally finding time to go to the grocery store, the $%#@ dog jumped up on the counter & ate all the bread & bakery items while I was putting the canned goods away in the pantry. Oh, & I seem to have lost the new camera. I have no idea what I've done with it. Good grief! He said he decided to get the brightest & most annoying pair he could find. I think he succeeded. All the hours I've been putting in at the summer job have paid off. We bought a new (used) car (a Nissan Altima) for cash. Can't show you a picture because, well, the camera is still missing.... but it's the most generic looking car you've ever seen. Thank God for the temporary tags on it because they are the only way I can find it in the parking lot. It blends. But, there's no payment on it and it is a blast to drive. It's got "pep" as my husband says and I will be very lucky if I don't rack up 50 speeding tickets in the next month. The daughter, who has vehemently refused to learn to drive, finally got her learner's permit. 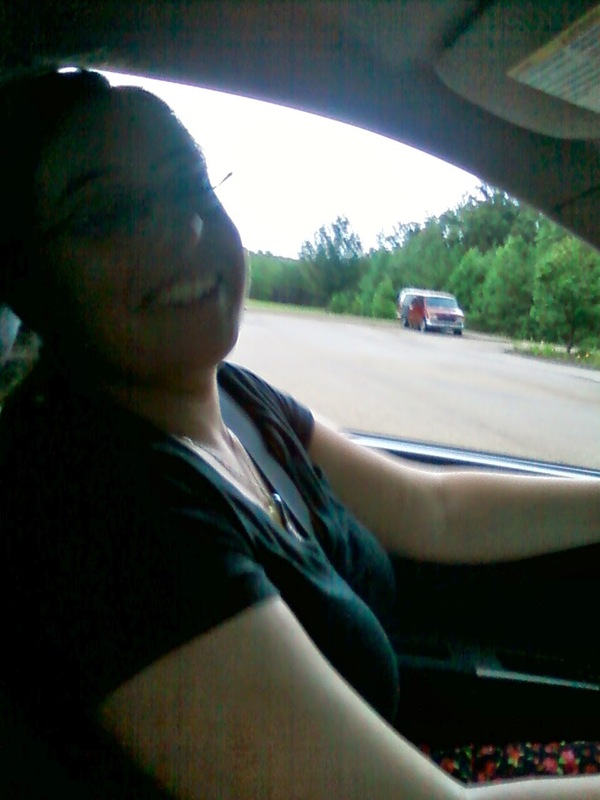 She went with me to buy the car and on the way home, in the dark, asked to have her first driving lesson. OMG! Talk about a nervous wreck! The new car hasn't even seen it's own driveway yet, it's dark & she wants her first driving lesson. And I won't even go into my control issues.... But, the daughter is asking to drive. It's a miracle. So, taking very deep breaths, I pulled into a large, empty Baptist church parking lot. (The same parking lot where my son "learned" to drive on ice by showing me he had complete control while doing doughnuts all over the lot while avoiding parked cars & light poles.) I prayed Sarah would have the same skills, took a few more very deep breaths and handed over the keys. I'm proud to say, she did fine and no Baptists were harmed. As for knitting progress, there isn't as much as there should be. The Allegro sweater is coming along. Slowly. It does have one and a third sleeve. The Christmas socks are finished, or at least the knitting part is. I still have to do that pesky Kitchenering of the toes. And I've started a secret project that should have been started 9 months ago. I'm knitting it in the round & it's reached the point where there are too many stitches on the needles & I need to move it to a larger cable. Of course, I can not find my interchangeable needle connectors. I have looked everywhere & can not find them. The only thing I can think of is that the pouch I keep them in somehow fell off the desk & into the trash the last time I had them out. So, I've ordered more (and enough yarn to bring the purchase up to a level where I get free shipping. I hate paying shipping!) Meanwhile, the secret project sits. I wonder if the cable connectors & the camera have run away together. Actually, I should look in the camera bag for the connectors. I know the camera's not there, but maybe the connectors are. It's probably the only place I haven't looked.